September is on it's way out and it's time to reflect on another busy month for me. My son is taking a class on climate change and I've been hanging out on campus with him. 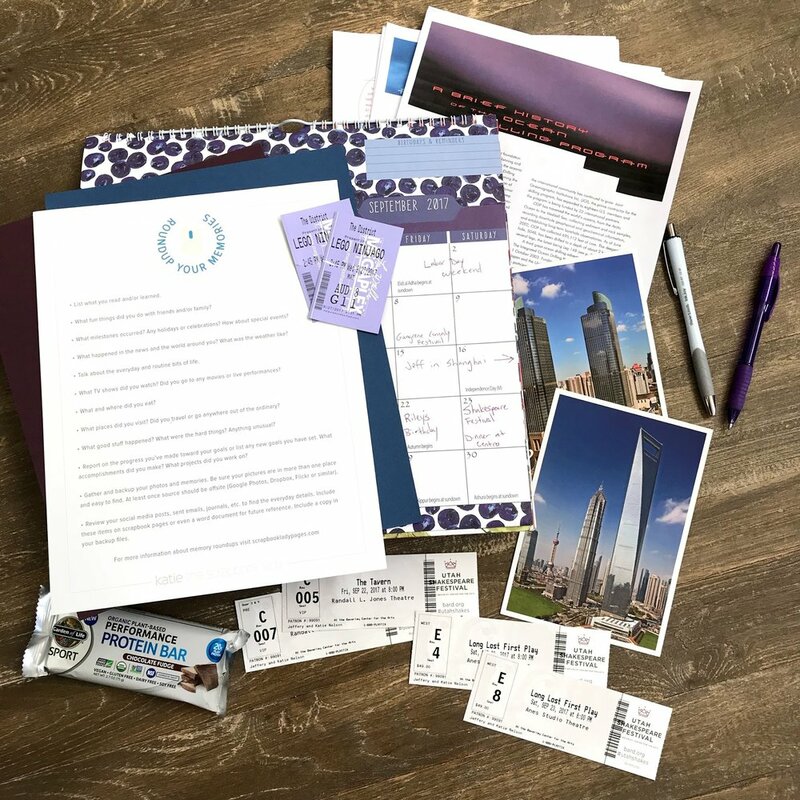 My husband went to Shanghai, China for a week. We all went to the fall season plays at the Utah Shakespeare Festival. My daughter Riley turned 21 years old. Alex and I saw the LEGO Ninjago movie. I threw in the protein bar to represent that I'm still trying to eat healthy and I'm always on the lookout for more protein in my diet. These bars aren't fantastic, but they aren't awful either. A great month overall! P.S. 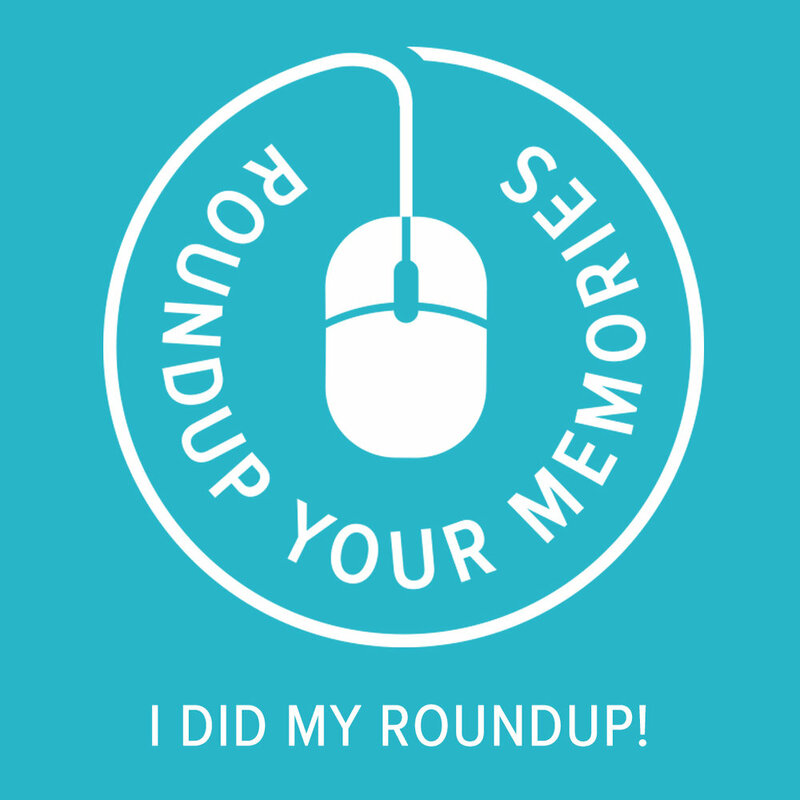 Help me spread the Roundup prompts and logo by pinning or sharing this post somewhere online. Thanks in advance!